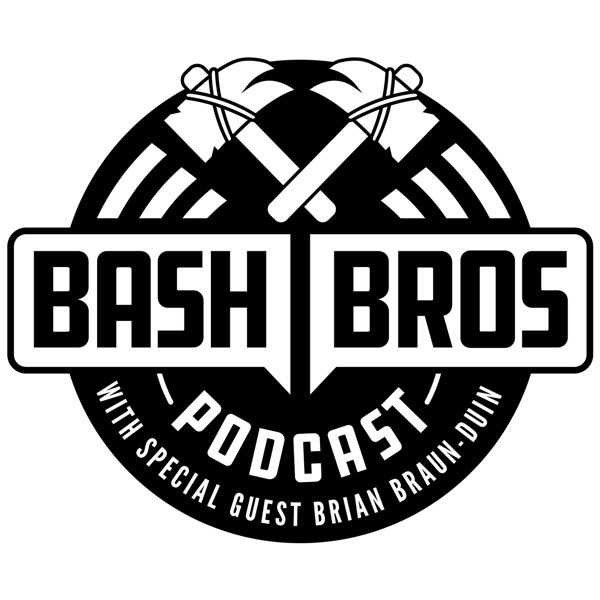 The Bash Bros Podcast is a weekly Magic: the Gathering podcast hosted by two of Magic’s most famous brothers: Corey Baumeister & Brad Nelson. Each week, they’ll have a very special guest (perhaps Former Champion Brian Braun-Duin) and talk about strategy, improving your skills, and having the most fun you can while playing Magic! This time, the sparks are going to fly with our talk about War of the Spark! We're getting down to business and picking out some of our favorite cards from the set! Let our very own Magic Historian, BBD, guide you down this rode of Magic's story leading up to War of the Spark! We're talking stories, relationships, and bad summaries of the story so far! This week, we're talking to the person with the literal worst finish, and also the person with the best finish in the Mythic Invitational! Join our newest co-host, Andrea Mengucci, in this our first 4 person episode! This week, our megasize episode talks about the struggles with externals pressures, moving your mental game forward, and training your in-game mindset! Fresh off his win sponsored by Honda, BBD chimes in on his luck with the Mythic Invitational group drawing, Corey talks about his Modern experience at GP Tampa, and Brad talks about his testing with Bo1 and Duo Standard leading up to deck submission! This very special episode was brought to you live on Twitch! In this episode, the guys talk about the no bans in Modern, Planeswalker speculation from War of the Spark, the London Mulligan in Modern, and a special Q&A session by Twitch Chat! This week, Brad goes on a losing streak, Corey looks to the Horizons of the Modern Metagame, & BBD mulls over the new rules coming to Mythic Championship London. The guys are back from Cleveland and they've got their mics! They're recapping their MC Cleveland experience while Corey recaps the last few days in his run for the Mythic Invitational! Another weekend chock full of results and the guys can' t wait to dive in and analyze the results from the Open! Brad walks us through the new metagame, Corey talks about his MOCS finish, and BBD entails how he'd like to start from the bottom up with some old goodies. What's Defining the Standard Metagame? This week, the guys are reviewing the Standard results as established by the SCG Baltimore, MTGO and Arena. They'll go through what they've been playing/testing, what's been working or not working, and what cards have been stand outs in these decks! This week, BBD is fired up over the Mythic Invitational and the response! Brad and Corey are happy to have BBD back this week as they talks about the MPL, the Mythic Invitational, and what it means to be a part of the community as a Magic player! In this episode, Brad is live on location from the Mothership! Joined by fellow MPL member Brian Braun Duin, the guys will be talking about their MPL bootcamp, the changing landscape of Magic's formats, and the future of competitive magic! In our inaugural episode, the guys are talking about the Ravnica Allegiance Streamer event that they all participated in and the decks they played! Listen to all the hot takes, bad jokes, and which new cards have the best animations!